Maintenance from April 11, 2019 has been completed. 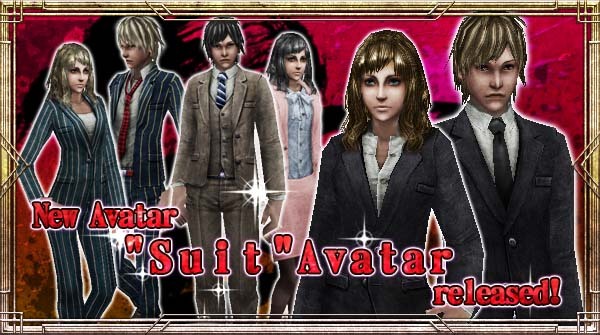 New Avatar "Suit" will be available! Please check Here for detail! Gold Armor Lottery: x2 odds for SR or higher & 11 Spins out with sale price campaign! Hyper Jackpot Lottery "Garnet Hammer, Set Item, Security Cloth, and Ultra Success Hammer" Odds up! Plus no Product Materials! Rewards according to the purchase of Gems! - Gold Weapon Lottery: x2 odds for SR or higher & 6 Spins out with sale price campaign! - [Limited to once per day] 1 Bonus Gem for purchasing Gem x1 Campaign! - "Fujin Raijin Lottery" Fujin Raijin Set x3 odds campaign! - Purchase Gems and get gift! - Rewards according to the purchase of Gems! -Treasure Box Expansion has been extended 120 minutes to all players for compensation of maintenance.